Here are some facts about the Charge of the Light Brigade. The Charge of the Light Brigade was an attack by British light cavalry against Russian troops. 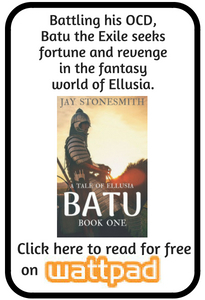 It took place in the 1854 Crimean War, during the Battle of Balaclava. The Battle of Balaclava was part of the siege of Sevastopol, which lasted from 1854 to 1855. The objective of the British army was to capture the port of Sevastopol from the Russians. The Light Brigade had been ordered to chase a retreating Russian artillery company. Poor communication meant that they fought a larger and more prepared army, and suffered heavy losses. Lord Raglan, the 7th Earl of Cardigan led the Charge of the Light Brigade. He is generally recognized for his bravery in leading the charge, despite little chance of succeeding. About 107 of the 674 soldiers involved in the charge were killed. Other British troops later died in hospital, and many were taken prisoner by the Russians. After receiving the order to charge, the brigade rode into a valley between two cliffs. This valley was described as the ‘valley of death’ in Alfred Lord Tennyson‘s poem about the event. Tennyson’s famous poem of the same name describes the charge. It was written just a few weeks after the event and praises the men’s bravery, while emphasizing the futility. 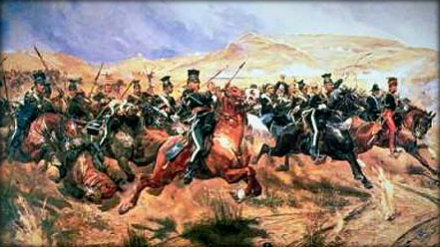 The Charge of the Light Brigade has been the subject of several paintings and two major films. Errol Flynn starred in the 1936 film, while Trevor Howard played the Earl of Cardigan in a 1968 version. Lord Raglan survived the charge and was called a hero. Soon after the battle, he went to his yacht which was moored nearby, to eat dinner and drink champagne. In 1875, survivors of the charge met in London to celebrate the 21st anniversary, and reunions were held regularly after that. In 2004, a monument to the Crimean War was built near the spot.